Meet Kyle King – a thirty-something cop who has already accumulated the bitterness of a retiree and spends most shifts lapping the streets of Fullerton, California, with 90s hip hop as his siren song. Sick of having his own hands cuffed by the rigidness of traditional law enforcement, Kyle yearns to pursue the next generation of criminals who are making a mockery of the police force and running amok in cyberspace. The keyboard warriors have had free reign of the virtual world for too long without any accountability – until now. 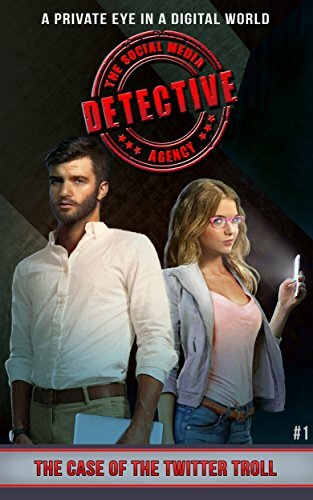 Kyle turns in his badge and together with Ally – his unbearably attractive sidekick – they open their own Social Media Detective Agency with a mission to crack cases wide open in 140 characters or less. But when a celebrity engages their services to track down a troll whose slanderous online comments threaten to destroy their reputation, Kyle and Ally have their work cut out for them. But who is the mystery troll and why are they spreading their hate-filled messages anonymously behind a computer screen?